We’d love your help. 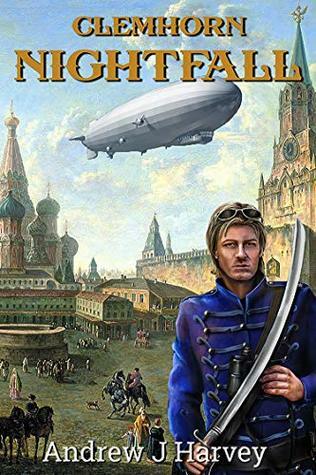 Let us know what’s wrong with this preview of Nightfall by Andrew J. Harvey. Andrew spent his high-school years in the school’s library lost in the worlds of Andre Norten, Robert Heinlein, and Isaac Asimov. His first commercially accepted series of novels (the Garden Adventures) was originally completed to read to his two sons at night. Now his children have left home he lives in Perth with his wife, one dog, and sixty four gold fish. In addition to writing, Andrew is also Andrew spent his high-school years in the school’s library lost in the worlds of Andre Norten, Robert Heinlein, and Isaac Asimov. His first commercially accepted series of novels (the Garden Adventures) was originally completed to read to his two sons at night. Now his children have left home he lives in Perth with his wife, one dog, and sixty four gold fish. In addition to writing, Andrew is also the Principal of Hague Publishing. Established in 2011 as an independent publisher of Science Fiction and Fantasy, Hague Publishing is registered in Western Australia, and publishes original work by Australian and New Zealand authors. Previously Principal for the Davies Literary Agency, Andrew was also editor and publisher of The Western Australian Year Book for a number of years, in addition to being the editor and a writer for ‘Afterlife - the on-line magazine for Atmosphere users’. Andrew's first published short story (A Messenger to the Dragon) appeared in Aurealis - Australian Fantasy and Science Fiction in 1992.